P L&M 94 Blackthorn Brick Works Co. founded 1907. K 1914 Eclipse Brick Co Ltd (The), (Ernest T. Watts manager) Five Roads, Llanelly. K 1920 Eclipse Brick Co. (W Vodrey, mngr) Five Roads, Llanelly. K 1926 Horeb Brick Co Ltd (The), (W Davies, mngr) Five Roads, Llanelly. 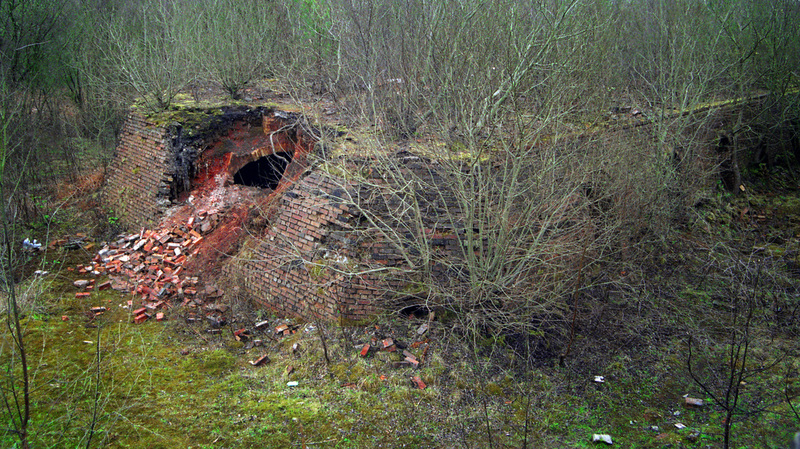 Clay 61 Horeb Brick Works Ltd, Copperworks, Llanelly. D&P 65 Connection to Llanelly & Mynydd Mawr Railway. 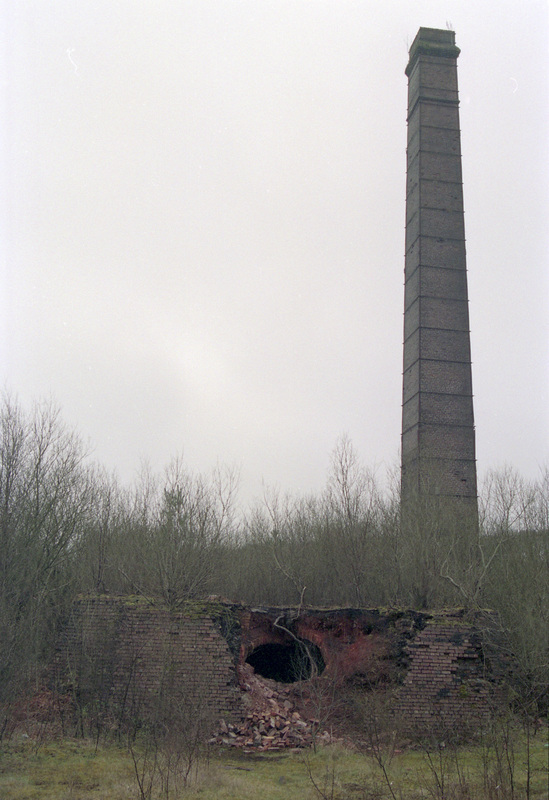 Site visit 3rd April 1995: Stack still standing and most of a Hoffman kiln. 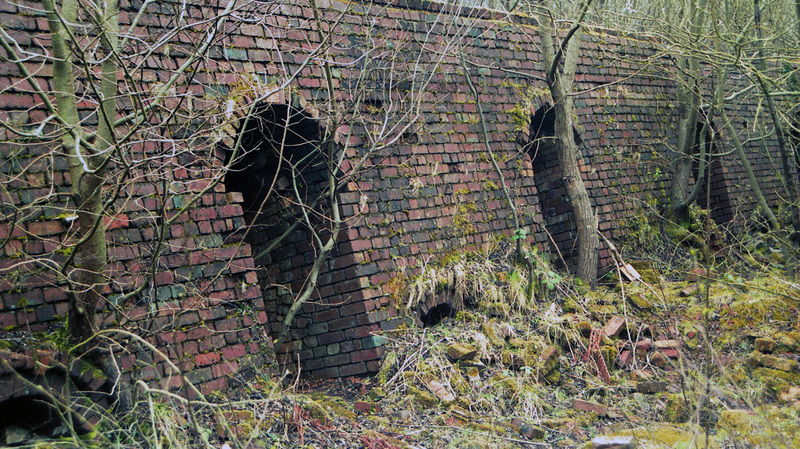 Site derelict and access was only possible down the abandoned railway line. Many bricks scattered around with OB on them? also some white/yellow with ATLAS stamped on them.